(Orange County, CA) The outstanding work of local individuals, groups and a business will be honored at OC Human Relations’ Annual AWARDS Celebration and fundraiser at 5:30pm, Thursday, May 2, 2019 at the City National Grove of Anaheim. The AWARDS 2019 Celebration, sponsored this year by Union Bank, is a unique occasion that brings together hundreds of residents, along with business and community leaders to celebrate justice, diversity and the human spirit. A special award is being given to journalist A.C. Thompson for exposing hate groups in Orange County through the PBS Frontline “Documenting Hate: Charlottesville” and helping reduce hate crimes in the county. In addition, this year’s awardees include community leaders who have dedicated themselves to building a Latino-Muslim coalition, advocated for LGBT supportive programming, and brought funders and community together to address local needs. Also to be honored is a commander who uses community input to shape policing practices, a high school excelling in creating a welcoming campus and receiving the Distinguished Business Award this year, will be Medtronic’s Brain Therapies Division. Tony Ortuno (Santa Ana) educates, empowers and brings together local stakeholders to create safer, supportive and intersectional spaces where youth learn leadership skills and engage in social justice advocacy. Orange County Community Foundation and OC Opportunity Initiative (Orange County) for bringing funders and community organizations together to ensure the full participation and integration of our local immigrant communities. Commander Chuck Elms (Santa Ana Police Department) lead an initiative to engage community members and include their input in the creation of his department’s new vision for policing and community engagement. 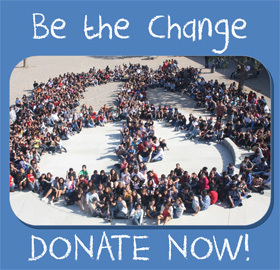 Fountain Valley High School (Fountain Valley) whose Baron Bridge Builders program strives to maintain a safe, nurturing and inclusive campus for all students. The school demonstrates a commitment to working collectively for a positive school climate by connecting every student to another student, teacher, activity or club. Medtronic, Brain Therapies Division (Irvine), for embracing diversity and inclusion. Medtronic’s mission is rooted in respecting the dignity and personal worth of all employees. At Medtronic, employees and leaders actively participate in creating a culture of innovation that is defined by inclusion, diversity, and community engagement. A.C. Thompson. A journalist with ProPublica, A.C.’s investigative journalism exposed hate groups involved in the 2017 Charlottesville “Unite the Right” rally. In the PBS’ Frontline “Documenting Hate: Charlottesville”, he methodically tracks down some of those at the center of the Charlottesville violence and some who had also been part of a series of earlier violent confrontations in California. This documentary exposed key players of hate groups in Orange County and led to subsequent arrests in an effort to work towards creating a safer Orange County and a reduction of hate crimes. OC Human Relations is a local nonprofit with the mission to foster mutual understanding among residents and eliminate prejudice, intolerance and discrimination in order to make Orange County a better place for ALL people to live, work and do business. Since 1991, OC Human Relations has operated with the belief that ALL people should live free of violence and discrimination. The organization brings people together to create safe and inclusive schools and communities, develop diverse leaders, give voice to those who don’t have a voice, and mediate conflict. OC Human Relations has been honoring individuals, law enforcement, schools and community organizations for their contributions to human relations in Orange County. These community heroes model community engagement and help lead the way to greater mutual understanding among residents of Orange County. WHAT: OC Human Relations’ AWARDS 2019 Celebration and fundraiser—celebrating justice, diversity and the human spirit. OC Human Relations will honor a journalist for the special kNOwHate Award, three diverse community heroes/groups, a BRIDGES Safe and Respectful School, an outstanding community-policing program and a distinguished business from Orange County. WHERE: The City National Grove of Anaheim, 2200 East Katella Avenue, Anaheim. .